Welcome to the preliminary announcement of BioMedical Transporters 2007, entitled “Membrane Transporters in Disease and Drug Development”. The conference will be held from August 12 to 16, 2007, in Bern, Switzerland, at the Kursaal Congress Center. 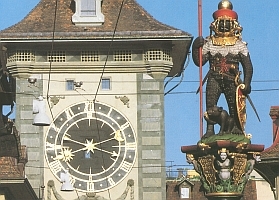 Bern is easily accessible from the Zürich airport by train or car. There will be a group excursion to the famous Schilthorn that includes a gondola ride and lunch at the Revolving Restaurant Piz Gloria. The target size of the conference is 200-250 participants. Attendees will have a unique opportunity to interact with one another both socially and within the scientific program, while enjoying the charming “Old City“ of Bern, a UNESCO World Heritage Site. This conference will review the medical and pharmaceutical aspects of membrane transporters. In particular, the implications of transporters in human diseases, drug development and drug toxicity will be reviewed. Special sessions will focus on drug transport across barriers, the effect of genetic polymorphisms of transporter genes on drug metabolism, regulation of transporters, and drug discovery technologies.